Welcome to the Magic Pro website. 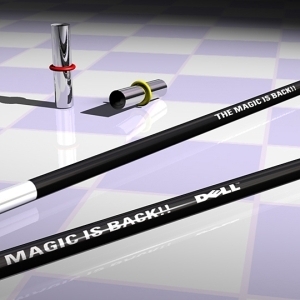 Magic Pro is a Promotions Company specialising in the marketing and distribution of unique, world-wide patented products which are solely exclusive to Magic Pro. Our products can be customised to your design specifications with company logos and text in full colour. Magic Pro's products include appearing magic wands, Clap-Banner (a hand-held banner/noisemaker/fan) and Rollabana (a hand-held self-rolling banner). Our products can also be purchased on-line so feel free to view our products on our site. We work very closely with our clients to ensure the best service we can offer.